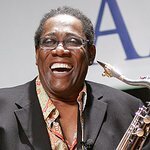 Before his untimely passing in 2011, legendary E Street Band saxophonist Clarence Clemons helped raise hundreds of thousands of dollars for Little Kids Rock, a leading nonprofit provider of free musical instruments and lessons to more than 100,000 underprivileged public school students across the United States. Little Kids Rock honors Clemons annually at its Right to Rock Celebration by presenting the “Big Man of the Year Award” to an artist who embodies the values of generosity and service that reflect the “Big Man’s” legacy and Little Kids Rock’s ideals. Last year, the “Big Man of the Year Award” was presented to Little Steven Van Zandt. The gala raised more than $800,000 and featured performances from Bruce Springsteen, Elvis Costello, Tom Morello, Southside Johnny, Kris Allen and several others including Clarence’s nephew Jake Clemons who is an honorary board member of the charity. The award went to Lady Gaga the year before, and to Yankees legend and jazz guitarist Bernie Williams in 2010. The nomination process is open from April 16th – May 1st at www.facebook.com/littlekidsrock. The “Big Man of the Year Award” will be presented at the Right to Rock Celebration in October. 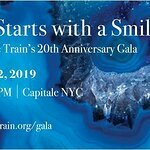 The funds raised at this gala will go toward providing free instruments, curriculum and lessons to thousands of students in disadvantaged public school districts nationwide that have seen their music programming decimated due to budget cuts. Nominate the 2013 Big Man of the Year at: www.facebook.com/littlekidsrock.